Zoho Vault enables you to securely share secrets among the trusted members of your organization. The sharing process has been designed to follow the highest levels of information security and privacy standards. When the org administrator signs up with Zoho Vault, RSA public-private key pair is generated for him. In addition, a new key named 'Org Key' is created. The 'org Key' is an AES 256-bit key, which is unique to every organization. Org Admin's private key is encrypted using org admin's passphrase and stored in Zoho Vault's database. 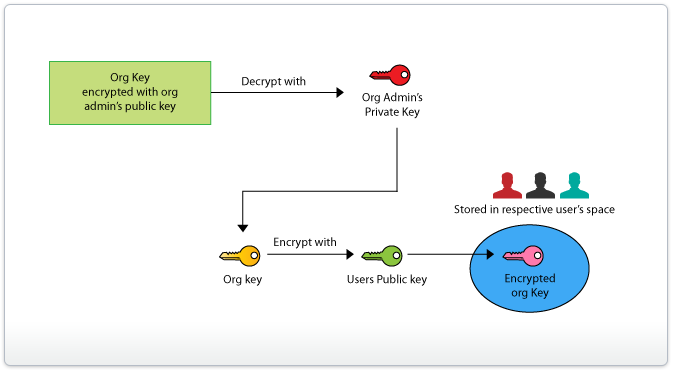 Similarly, the 'Org Key' is also encrypted using org admin RSA public key and stored in the database. 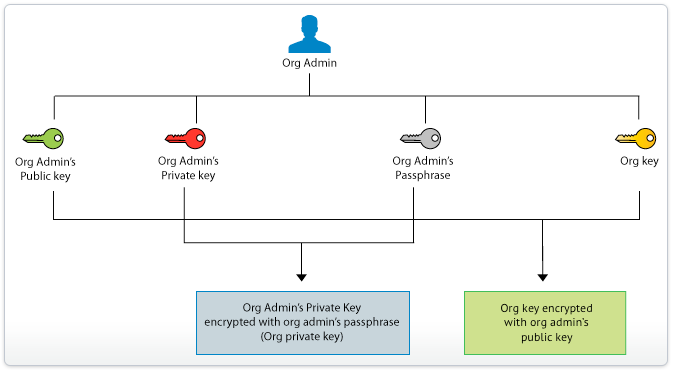 So, Zoho Vault only stores the encrypted keys of "Org Admin's Private Key" and "Org Key". As per the host-proof-hosting model, the org admin's passphrase is not stored anywhere in the server. It just lingers in the memory of the org administrator. When users of your organization sign up with Zoho Vault, RSA public-private key pair is generated for each of them. User's private key is encrypted using his passphrase and stored in Zoho Vault's database. When the org admin 'shakes hands' with the org user, the 'encrypted org key' stored in the database is retrieved and it is first decrypted using org admin's private key. 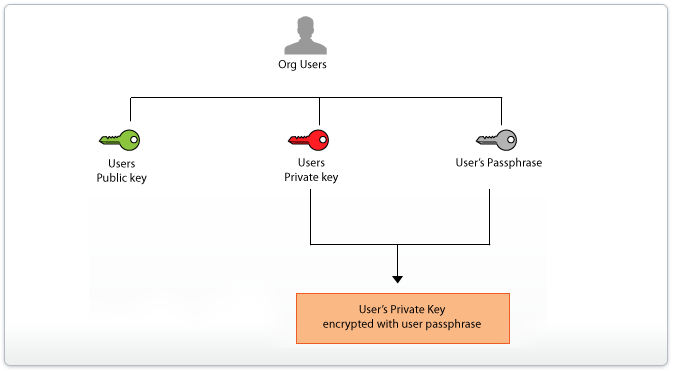 Then, the 'Org Key' is encrypted using "User's RSA public key" and this new 'Encrypted Org Key' is shared to the user and stored in his space in the database. This process is done for each user of Zoho Vault. When the user tries to share a secret, first, the user's private key, which is stored in encrypted form in the database is retrieved and it is decrypted using user's passphrase. Then, the 'Encrypted Org Key' shared to the user by the administrator is retrieved. The encrypted org key is decrypted using user's private key. The password to be shared is now encrypted using the 'Org Key'. Assume a user 'ABC' is the admin in the organization and he wants to share one of his existing passwords with, say, five other org users, say A1, A2, A3, A4, A5. ABC now shares the above password with A1, A2, A3, A4 & A5. Internally, the above password, which was encrypted using Org key is mapped to A1, A2, A3, A4 & A5. How do A1, A2, A3, A4 A5 retrieve passwords? What happens when a shared password is changed? Assume user A1 changes the password. 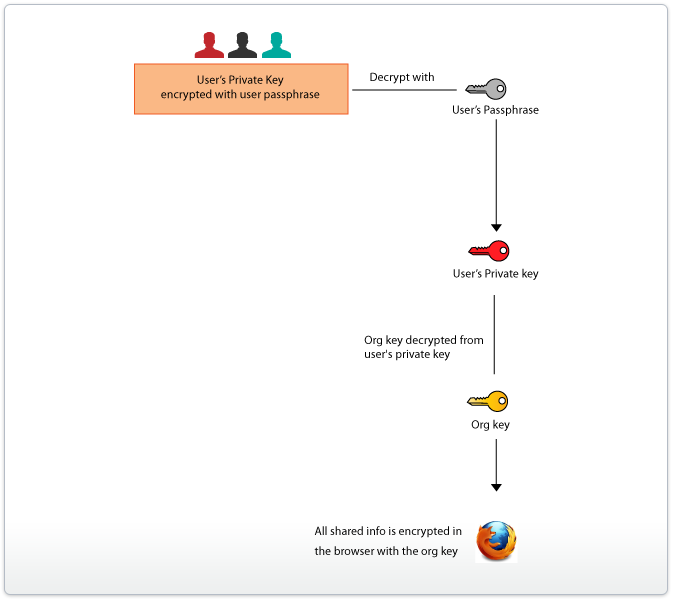 As you would have observed in the above flow, the 'Org Key', which is used for encrypting/decrypting shared secrets resides in the browser when sharing is used in the organization. Technically speaking, it is possible for a tech-savvy person to retrieve the 'Org Key' when he is logged in to Zoho Vault. However, the key can be exploited only when the holder gets access to Zoho Vault’s database. Since, Zoho's datacenters follow state-of-the-art security norms, this is nearly an impossibility. Since Zoho Vault follows the host-proof-hosting technology, it is impossible even for Zoho to access the 'Org Key'.